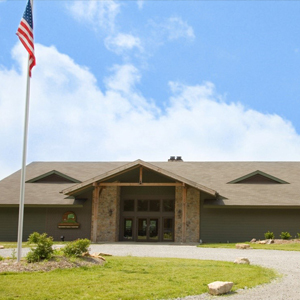 Camp Wartburg’s facilities provide ideal space for a variety of summer camps, four-season outdoor education events for organized groups and schools and year-round facility rentals for one-day and overnight retreats, family reunions and other events. We would be happy to have you and your group or class at our facilities for a day or overnight stay. Consider Camp Wartburg for your next family camping trip, outdoor education, weekday or weekend retreat, group meeting, conference, family reunion, graduation party, baby shower and more. Camp Wartburg offers a quiet place for study, fellowship, recreation and meditation. It is a camp of natural beauty with 124 acres of park-like grounds, creek, pond, wooded trails, two recreation fields, a dining hall, meeting space, lodging, an outdoor chapel, five campfire sites and a swimming pool. A total of 170 campers and staff can be housed in the cabin units. 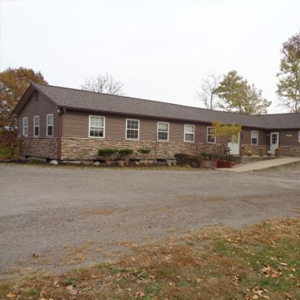 All of Camp Wartburg’s buildings (minus the treehouses) are equipped with heat and air conditioning, ensuring that your child/group is comfortable, regardless of the weather. With ten cabins and reasonable pricing, Camp Wartburg is sure to provide your group with an exciting and unique experience. 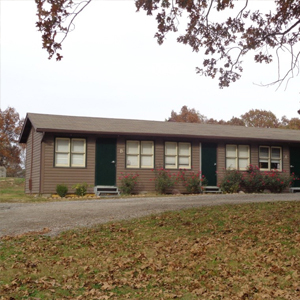 Camp Wartburg’s facilities are equipped for use in all four seasons, with cabins, meeting spaces and activity options to make your stay a success! Book with us today. Upon request Camp Wartburg is able to provide TV/VCR/DVD Player, a projector and screen, as well as a sound system. Additional fees may apply. Description: Lindenberg Village is made up of three cabins: Left (sleeps 26), Middle (sleeps 40) and Right (sleeps 26). Each cabin is equipped with bunk beds, bathrooms, showers, a common area, refrigerator and microwave. The common area is located in the center of the cabin and splits each building off to two sides, perfect for separating students of different genders. Description: Middle Camp is made up of six cabins, which can be rented individually or in a group. 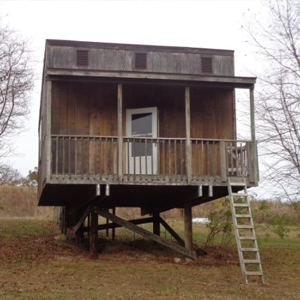 Each cabin sleeps 8-10 people and contains a shower and one or two bathroom stalls. Description: Renovated in 2007, Thorburg Hall is home to our offices, as well as four separate cabin rooms, which sleep 26 people total. The rooms are equipped with bunk beds, a bathroom, and a shower. Joined by a common area, the cabin also contains a refrigerator, sink, microwave and coffeemaker. Note: The treehouses are the only buildings onsite that do not have air conditioning/heat, electricity or water. Description: Camp Wartburg has two buildings onsite that are not equipped with air conditioning/heat, electricity or water: the rustic treehouses. Description: The newest building onsite, Grandma Linda’s Craft Center is located at the heart of Camp. 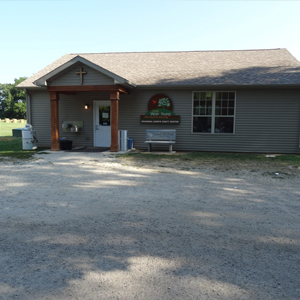 The building is available for meeting space for up to fifty people and offers restrooms and water fountains to patrons using our picnic pavilion and field. During the summer, hundreds of campers put their artistic talents to use in Camp Wartburg’s newest innovative building. 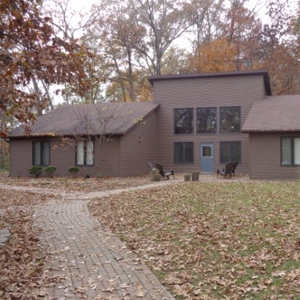 Description: Built in 2007, Negwer Family Center is home to Camp Wartburg’s dining hall and meeting space. The main hall and dining facility seat up to 200 people. The downstairs meeting rooms can be opened into one large space, seating 150 or closed off into two or three separate rooms. Each individual room holds up to 50 people. 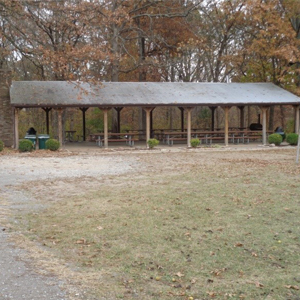 Description: Camp Wartburg’s picnic pavilion is perfect for special summer events like graduation and birthday parties. The pavilion is also a great spot to BBQ after a relaxing morning or afternoon by our pool. Description: The Michael H. Dann Memorial Chapel was renovated in spring 2014 and equipped with a new altar and cross in 2015. 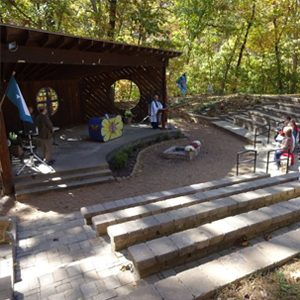 The amphitheater style chapel seats 200 people and is the main campfire site for Camp Wartburg’s summer campers. Description: Camp Wartburg’s swimming pool was the first to be built in Monroe County. 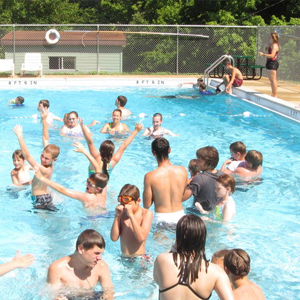 With a newly renovated pool house (2013) and nationally-certified lifeguards, Camp Wartburg’s pool is the place to be on a hot summer day.